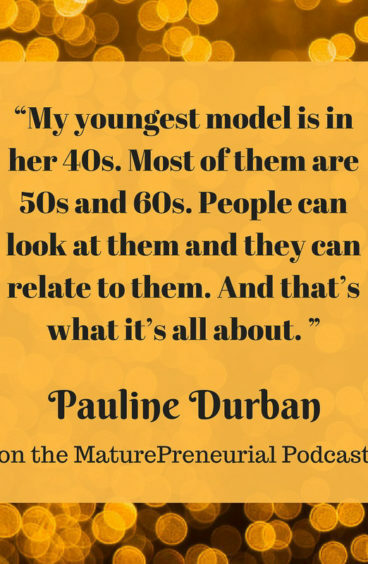 At the age of 56, Pauline Durban invested her life savings into creating Covered Perfectly: an online clothing store dedicated to fashion for women over 40. 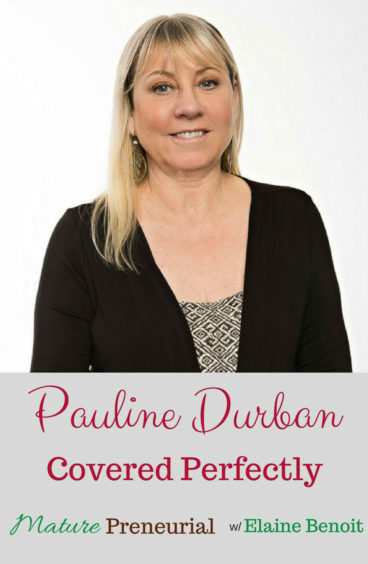 Pauline Durban is the proud founder of Covered Perfectly, a company whose purpose is to provide flattering, comfortable clothing for women over 40. Originally from England, Pauline moved to the United States in 1992. The Challenge: What to Wear? As a middle-aged woman, Pauline grew increasingly frustrated with the desperate and tiresome effort of combing through her closet for something to wear! She wanted clothing that made her feel attractive and feel confident that she was showing the best parts of herself. But finding the right tops was becoming a huge challenge. Most of her tops did not play to her strengths and left her feeling exposed. Instead of settling for the limited fashions available to women of a certain age, Pauline decided to take matters into her own hands. 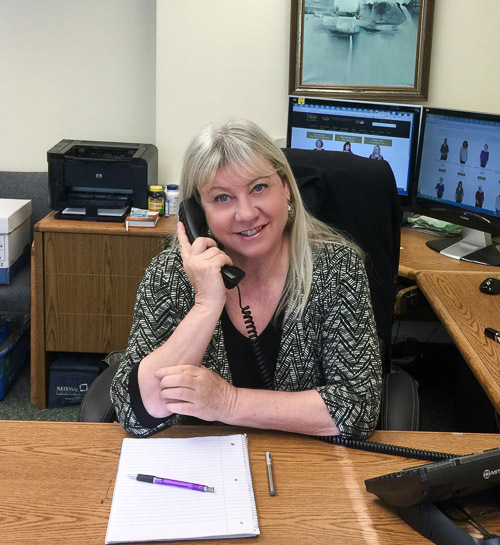 In May of 2012, at the age of 56, Pauline invested her life savings into Covered Perfectly: an online clothing store, dedicated to fashion for women over 50, women over 60 and beyond. She began designing women’s fashions with a focus on fabrics that feel great against the skin. She started with tops and eventually branched out into dresses, skirts, and more. She also chose to use age appropriate models, all of whom are over 40 and most of whom are over 50 and 60. However, Covered Perfectly was launched on May 5th 2013 and mature women of all shapes and sizes love the fashions and have welcomed the concept with open arms. Every week Pauline receives emails from customers who rave about their tops and the company’s excellent customer service, many of whom include photos of themselves in their new purchases. Today, Pauline says, “Blessed doesn’t even come close to how I feel!” She is a great role model for those of us starting new ventures after 40. Did you say more than 20 years? Did you work at the operations job the year it took you to launch the business? When you come home from your corporate job, how many hours do you put in a night on the average? Both days on the weekend? How long does it take to design something to actually get it on the website to sell it? You didn’t mention the name of your business? Can you remember some of the names you went through before you came to Covered Perfectly? Was the contest through your website? Show me your photos and the best one wins? What is your most successful idea that you implemented for your business? How long did it take you to realize that and stop what you were doing? They told you this before, or while you were doing it? What gave you the courage to start something you’ve never had any experience in? Did you do any studying of fashion, or did you allow the people who are helping you make it happen? Do you see the savings from going to all these different companies instead of that one shop guy? 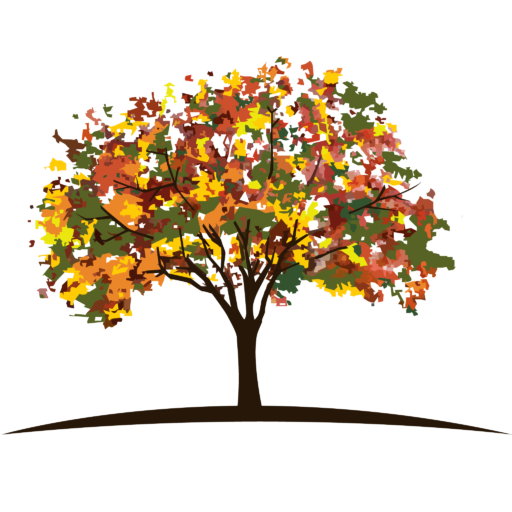 After you began is there anything you did that catapulted you to the next level in your business? What is the best advice someone has given you, either life-related or business related? Do you see a time in the near future when you can quit your job and do this full time? When you started your business, did you come up against any resistance from family or friends and what did you do to overcome it? When you talked about the person in the fashion industry that told you it was a tough industry to go into, do you think they were threatened by it or trying to help you – what do you think their motives were? Great podcast Elaine, you always find someone special. Agree with women supporting women. Managing your own business is already challenging enough. Who needs unnecessary aggravation?